You Think You Know Baker? Not This One. “The Sucker” aka Cadet Kelley. Yours truly, RTEF Director of Snow Operations Silva, and Cadet Jamie ventured from the cozy (triple-digit) environs of SoCal to do some reconnaissance work for the on-hiatus Tomahawk-ers. Our destination? 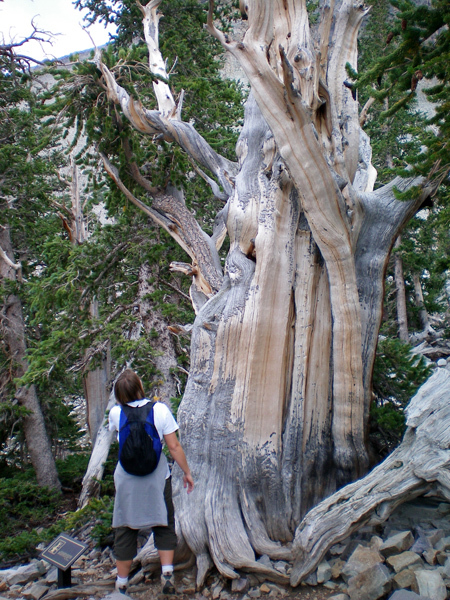 Great Basin National Park (GBNP) located in Baker. You think: Baker?? No way. There’s a national park in Baker??! That’s the place with the “world’s tallest thermometer,” right?! Just a couple hours north, on I-15?! Nope. That’s Baker, California. We’re talking Baker, Nevada, 286 miles north of Las Vegas, near the Utah border. 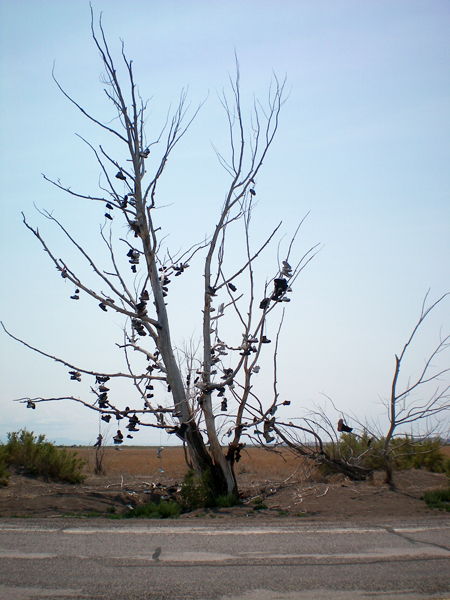 Think: eastern Nevada, miles and miles from anywhere else. GBNP has been on my list of “must-sees” for some time now, especially once I found out that it’s the home to some of the world’s oldest tress. Not having a scouting report, I was hesitant to include any casual companions. No, it had to be someone with an unrelenting (unfounded?) sense of trust. The next morning we headed north on the 15, venturing off the interstate at highway 93. With a great deal of surprise and relief, a mere hour and half out of Vegas, we found ourselves in lovely lower temps, some lower 80s, dipping as low as 70°. We could have easily turned off the a/c, but opted not to for improved gas mileage. Not only did highway 93 provide more comfortable temps, but also gorgeous scenery. The increased altitudes provided gorgeous changes in the flora from the expected desert landscape; there were acres of pastureland for what I’m sure are some of the happiest cows on the planet. In addition, we got to see Coyote Springs, NV, a golf resort anomaly along a stretch of nothing; the Pahranagat National Wildlife Preserve, a bit of an oasis which looked like it definitely needed exploring – if only we didn’t have a specified time of arrival; and “Cowboy’s Dream,” a place for lodging that looked far more comfortable than anything we were headed for. Climbing most of the drive into the park, we reached GBNP in less than five hours, stopping once for fuel per the Park Service recommendations. Compared to my expectations for miles and miles of bland desert, our trip was an easy, enjoyable drive; we didn’t have to negotiate traffic and drove at speeds that met our preference. Though a total of nine hours (+ or -) from home, I can’t emphasize enough that the trek should not deter future explorations of the Park. Once we arrived at the Visitor’s Center (there are two – one at lower elevation in Baker, NV, and one in the Park proper – and we hit both of them! 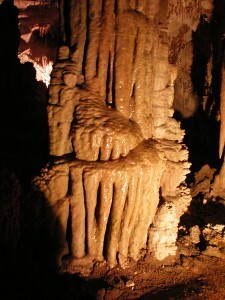 ), we embarked on a ninety-minute tour of Lehman Caves. 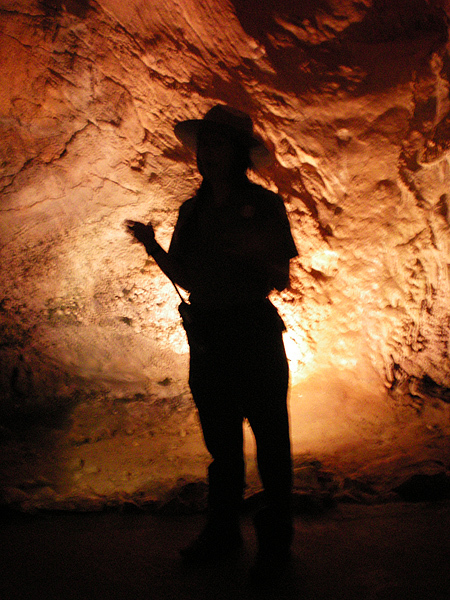 We were warned that temps in the caves would be approximately 50° throughout. I can’t tell you how nice it was to throw on some sleeves and a layer after the awful LA heat wave we left behind (Do they even call it a heat wave anymore? Or must it be part of a “Storm Watch” of some sort?). Meanwhile, back on the surface, Mother Nature was supplying even more special effects – a thunderstorm raged in the vicinity. 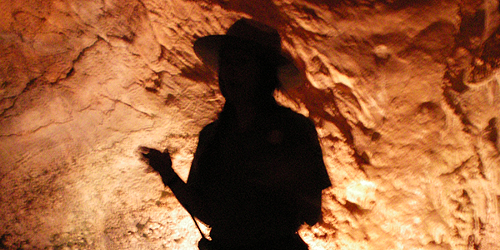 The claps of thunder could be heard AND FELT while underground, adding to the mystery and wide-eyed apprehension of being trapped underground. [While on our tour, lightning struck near the town of Baker and started a wildfire that kept Park visitors from exiting right away.] The caves were impressive as all caves are and worth the price of admission (ten bucks!). Yep, it was a long drive to see an underground hole, but tell me: Who doesn’t love a good cave tour?! 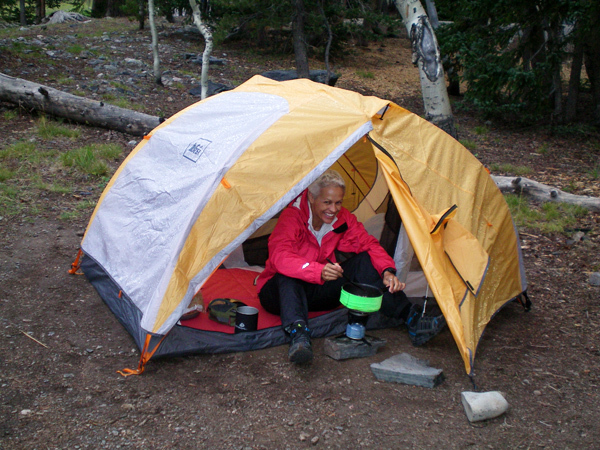 After the cave tour, we made some adjustments to “Plan A” and opted instead to drive up the road to Wheeler Peak campground for the night. From the Visitor’s Center (approximately 6800’), we gained elevation quickly, reaching the campground in under a half hour. 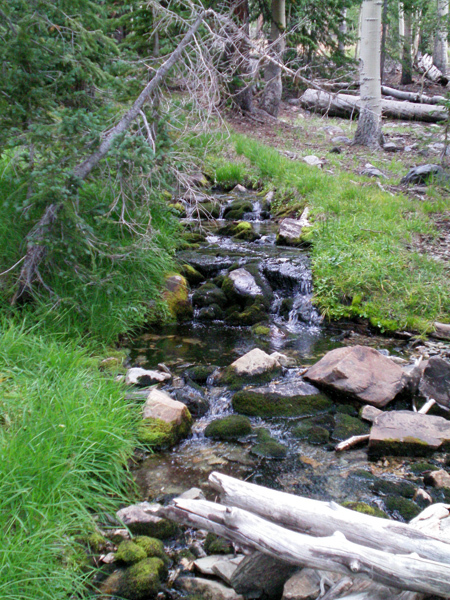 Easily accessed from the campground are a handful of hikes, including one to Wheeler Peak (elev. 13,064’). Given the hour of the day and the impending storm, we chose to hike to the Bristlecone Pine grove, a quick 1.6 miles each way. There we saw trees that had been alive since the time of the Bronze Age, the reign of the Pharaohs, and even Pangaea (ok – not really Pangaea!). These trees are as impressive for their longevity as they are for their beauty, spiraling into shapes that allow them to withstand whatever abuses the environment can throw at them. Amazing in so many ways, it was worth the haul just to see and touch an ancient organism. Back at the campsite, we enjoyed the smells of fresh air, the sound of Clark’s woodpeckers and visits from a doe and her fawns. We spent the night at 10,000’, but not until some more rain fell, forcing us to cook our dinner under the vestibule. At this point, I should mention that while on the hike to the Pine grove, Cadet Jamie subtly began showing signs of altitude sickness, and even before dinner, it was clear that she was feeling pretty miserable. Monitoring her to the point of nagging, I was optimistic that she would recover if she could get through the night. Well, she did, and indeed, felt better the next morning, but while making preparations for the next phase of “Plan B,” her debilitating headache returned. At this point, I threw whatever gear hadn’t been stowed into the trunk and we skedaddled down the mountain. Back at the Visitor’s Center, we did our best to improvise on a “Plan C,” however, this was difficult given that there was no cell signal or wi-fi. So we hit the highway, aiming for lower elevations and improved cell reception. Director Silva, a fully addicted gear junkie. For the books, GBNP is a fabulous destination, offering a range of activities, the opposite of crowds and great snow potential (during certain months). 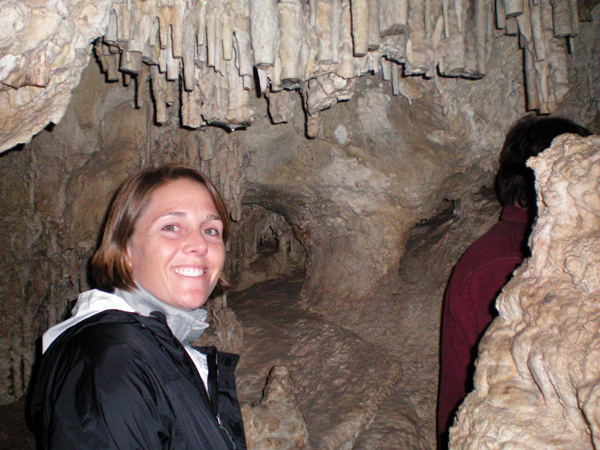 There is a killer peak for summiting and the added bonus of a cave tour. And not that this would stop any RTEF-ers, there is no $25 entrance fee to get into the park (entrance fee = $0). 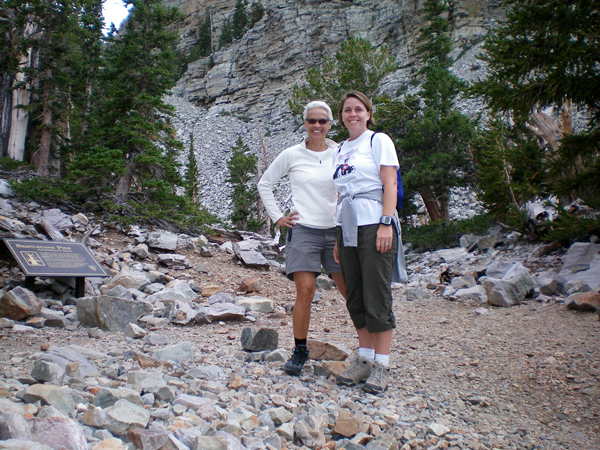 In short, I would venture to Great Basin again ¬– and intend to, very soon!